November slowed down Tijuana Adventures. The sunset happens way earlier on winter time, that by 6 pm it’s already night time. I had an Adventure ready for the weekend for a friend and his wife that were coming all the way from LA for their wedding anniversary. It was going to be a tour of the great food in Tijuana, and since my friend is a vegan, I planned to hit all the spots that are vegetarian friendly. Of course, there was going to be night time adventures as well. But at the end, they canceled for circumstances out of their control. So there was no Tijuana Adventure for November’s second weekend. But something different happen that makes me proud. The San Diego Reader published two articles written by me. 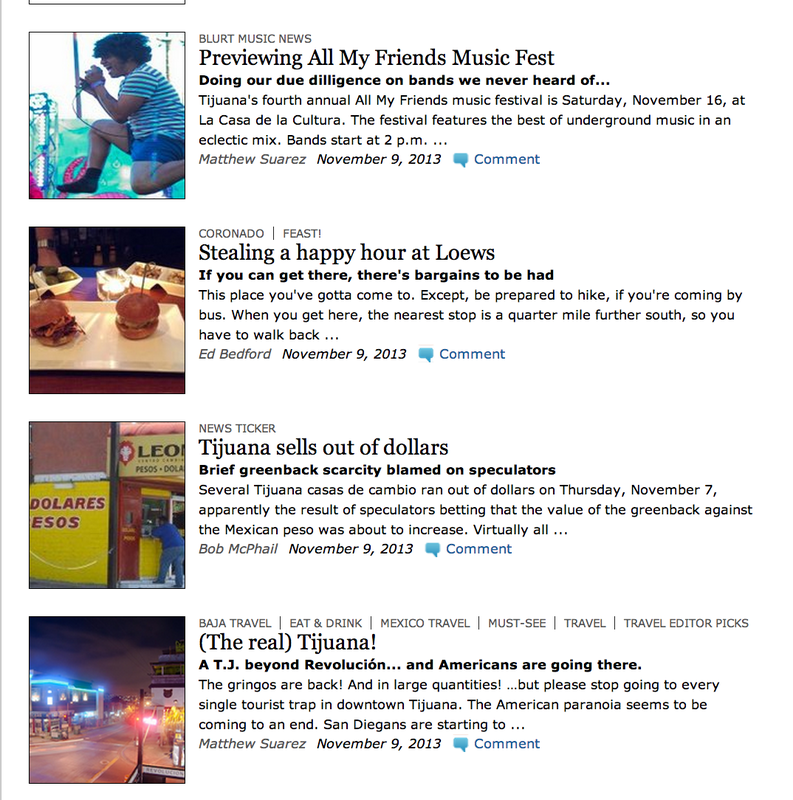 The first one is about the Real Tijuana. The second one is about the event this upcoming weekend. I decided to review every single band that will be playing on All My Friends music festival because I want the tour to have the very best. And at the same time I gave my thoughts on the bands. This was the result: Previewing All My Friends Music Fest. Your Tijuana Adventure guide is now officially a published freelance writer as well as a musician, photographer and of course, Tijuana tour guide. November might have started slow, but many more adventures are to come! PreviousOctober Wrap Up! Three Tours and Medical Tours Now Open!